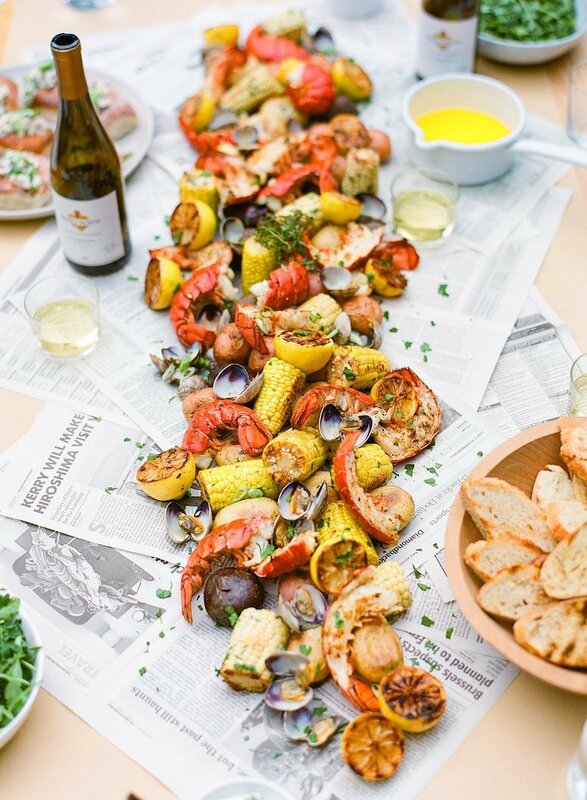 Clambake, lobster boil, seafood boil, lobster party—whatever it is you’d like to call it we’re loving the idea of hosting a seafood soirée this summer. It’s an elegant yet laid-back get together that’s perfect for your summer entertaining, even if you don’t live on one of the coasts. 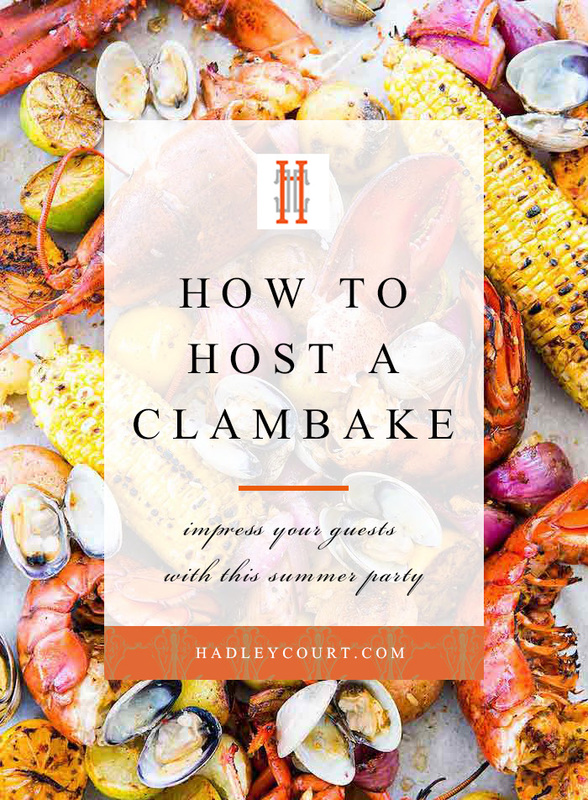 Here’s how to throw your very own clambake party this summer. 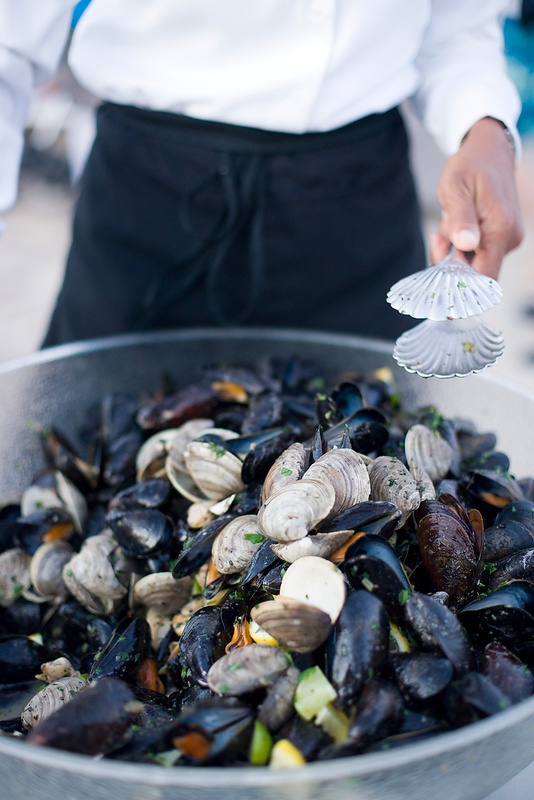 Whether you’re cooking outside or doing a stovetop clambake, you’ll need to gather up your ingredients first. 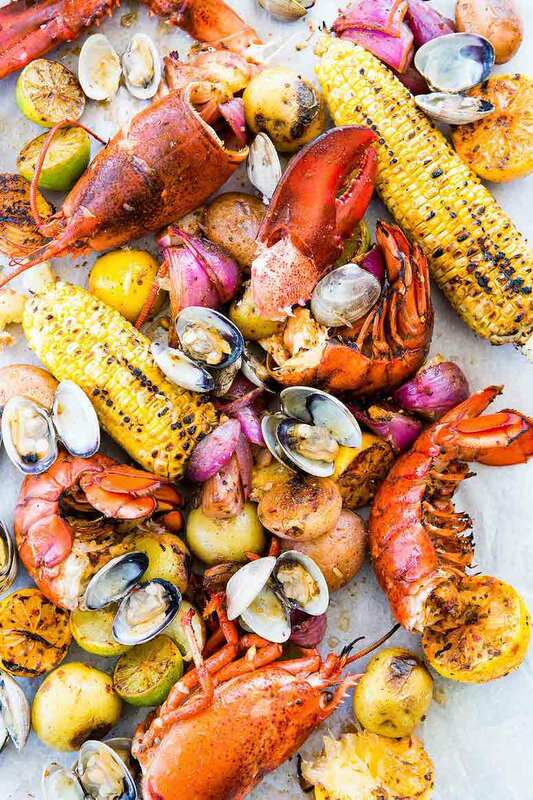 Keep it classic and simple and load up on plenty of lobster, clams, corn on the cob and potatoes. Some people like to throw in soft-shell crab and a sausage like kielbasa or chorizo. There are a number of one-pot clambake recipes online, but if the weather is nice, we suggest heading outdoors for a seafood boil. Don’t forget to stock up on plenty of white wine for your guests and let them watch the cooking process as part of the entertainment for the evening. One of the things we love most about a lobster boil is how refined yet relaxed this party can be. Embrace the messiness of it and serve your food buffet style on a table runner of newspapers. Since this is a hands-on meal, make sure each guest has a bib and towels (not napkins) to keep clean. Give guests tools to crack open their food with and put out big bowls to discard shells. Be sure to intersperse plenty of lemons and butter around the table, too, so everyone can easily access. 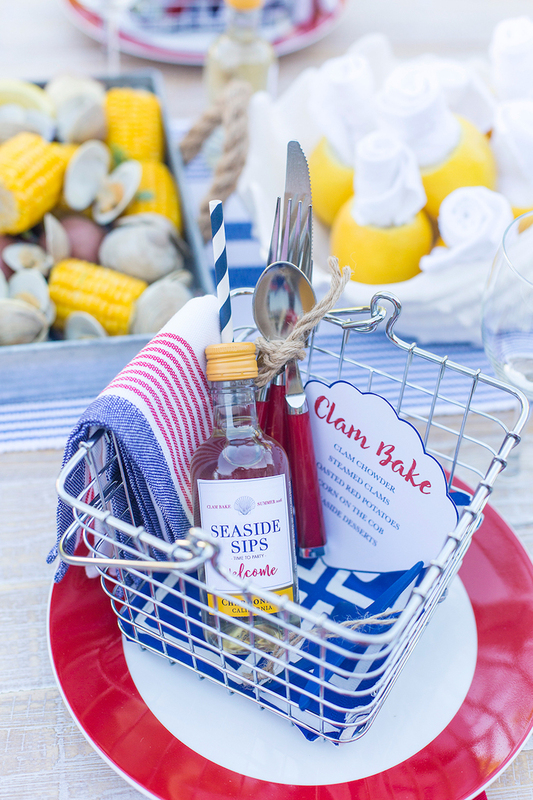 You could even create individual lobster sets at each place setting that includes lemons, towels, tools and directions on how to crack open a lobster. « The Art of ‘Porching’. Yes, it’s a Thing!